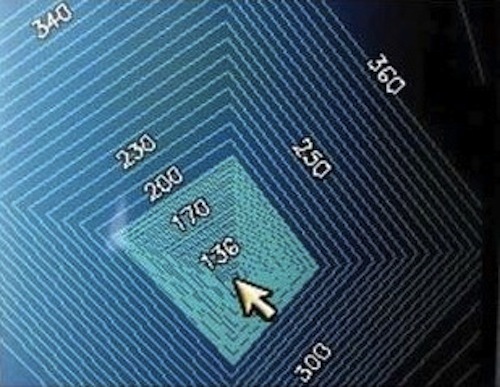 Ancient Underwater Pyramid Discovered Off the Coast of Portugal! For quite a while archaeologists have suspected that people inhabited Portugal long before people claimed to have first inhabited Portugal. Within the last three years, researchers have discovered small rock pyramids on a small island called Pico as well as cave paintings and tons of new artifacts believed to possibly be several thousand years old on the nearby island of Terceira. The owner of a private yacht out for a spin around the islands picked up something on his GPS instrumentation. That something appears to be a perfectly shaped pyramid approximately 200 feet tall. Researchers and archaeology experts are descending on the area in hopes of learning more about the discovery. We’re secretly hoping they find underwater versions of everything from Stargate or Mermummies or…something else just as awesome. Posted in Abandoned, Ancient Civilizations, Archaeology, Discovery, Pyramid | Comments Off on Ancient Underwater Pyramid Discovered Off the Coast of Portugal! Two mysterious ‘doors’ deep inside Egypt’s Great Pyramid were slowly being explored by tiny robots…until political unrest and paperwork brought everything to a screeching halt. 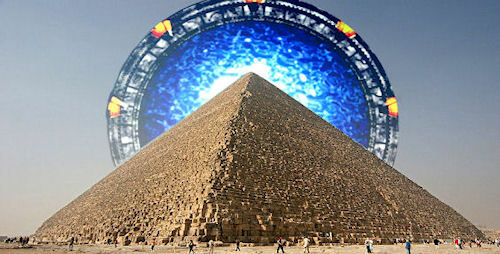 The Supreme Council of Antiquities (SCA) has paused what’s known as the Djedi Project and asked them to resubmit their permits in order to continue burrowing into the depths of the Great Pyramid. What lies beyond that will be a mystery until all the proper paperwork clears and the project resumes. Pretty sure we’re all secretly having nerd-dreams that there’s a Stargate down there somewhere. You are currently browsing the archives for the Pyramid category.